Villas of Grand Cypress Golf Resort is giving families the opportunity to experience Orlando – one of the world’s most popular family destinations – with a distinctly “red carpet” feel. From stretch limousine transportation to a private hot air balloon tour, the property’s exclusive, three-night “Red Carpet Package” promises to leave families with a lifetime of memories. 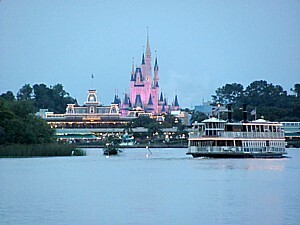 The dream package, available May 1 through Sept. 30, starts at $3,600 plus tax and resort fee for a family of four (two adults, two children) and includes three nights accommodations in a spacious, luxurious two-bedroom villa, transportation in a luxurious stretch limousine from and to the Orlando International airport, and roundtrip limousine transportation to the themepark of your choice, for a full day of activity for a family at Walt Disney World, Universal Orlando or SeaWorld Orlando; a hot-air balloon tour of Orlando with sunrise picnic breakfast and limousine; a few hours of ‘decompression’ time will find Dad getting to play a round of golf, Mom enjoying a massage, and the kids heading off to half-day at the property’s Kids Camp. And just for Mom and Dad, a romantic evening just for the parents, featuring a specially prepared four-course meal at Nine18 restaurant, with a bottle of wine included, while the the kids are whisked away to a fun evening at Kids Camp, with their own dinner included. The resort offers private villas along the fairways and waterways of the golf course. Each villa is furnished with a family-friendly living room, dining room and fully equipped kitchen, along with patios and verandas. The Club, which serves breakfast, lunch and dinner (and evolves into a sports bar in the evening) and Nine 18, open for dinner Tuesdays through Saturdays, are the primary dining venues, with a poolside snack bar to accent the offerings. Villas of Grand Cypress – one of the “75 Best Golf Resorts in North America” as named by Golf Digest – features 45 holes of Jack Nicklaus Signature designed golf comprised of 27 holes plus the Nicklaus-designed New Course. Up to two additional children can be added to the package for $350 each. The package is subject to availability and children must be between the ages of 4 and 16. Alternative arrangements or baby sitting may be arranged for those younger or older than the specified ages. To reserve the “Red Carpet Family Package” and for additional information about Villas of Grand Cypress Golf Resort, visit www.grandcypress.com, or call 877-330-7376.